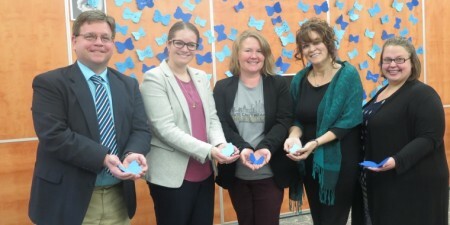 Seton Hill will celebrate Giving Tuesday on November 27 with a Day of Giving. A donor challenge has been issued to alumni, students, faculty and friends to make 100 gifts of $100 or at least $10,000 in overall gifts to unlock a matching gift of a new $10,000 scholarship. Events will be held on campus throughout the day to encourage philanthropy, while alumni and friends are asked to make their mark by visiting alumni.setonhill.edu/dayofgiving to make their gift on November 27. Gifts can also be made by calling 1-877-SHU-GIFT (748-4438). 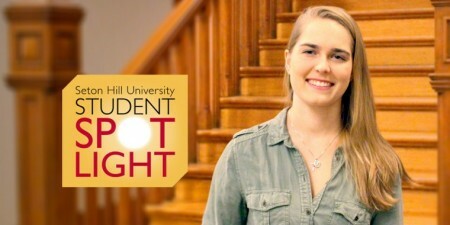 With the generosity of an anonymous donor and the help of the Seton Hill community, a Seton Hill education can be put within reach for many students. Donors can also join the fun on social media. After making a gift, use the hashtag #SetonHillDayofGiving on social media for a chance to win a prize. For more information, please contact Christy Pergar, Director of the Annual Fund, at 724-830-4636 or pergar@setonhill.edu.